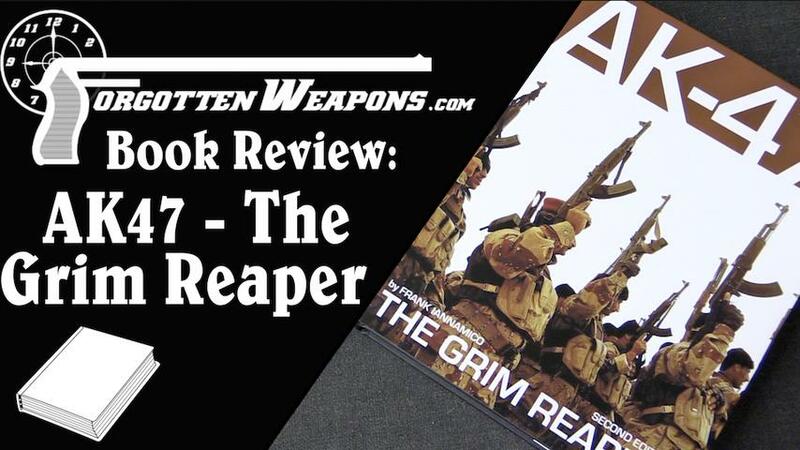 The expanded second edition of Frank Iannamico's "AK47: The Grim Reaper" is a hefty 1100-page tome which tackles the ambition goal of being a single reference for all things Kalashnikov. Ot begins with a section on Soviet development of the AK rifle starting at the Type 1 and proceeding through the milled-receiver Type 2 and 3, the AKM, the AK-74, and into the modern rifles like the AK-107/8, AEK, and AN-94. Also included are the RPK and RPK-74, the PK, and the Dragunov. Next is a series of chapters covering AK production by other countries in the Warsaw Pact, and then an set of chapter on production by countries outside the Pact. Finally are chapters on the AK in the US (both imports and domestic production), accessories, ammunition, and magazines. Overall, I think the book is the best single reference book on the AK platform. Its coverage of American Ads in particular is unmatched, and it does a good job of covering the main variations made across the world. I am a bit disappointed by the black and white pictures (the color ID photo profiles at the end are better than nothing, but not what I would prefer). I would also prefer to have a bit denser book, with less white space on every page...but that is getting rather nit-picky. As good as Iannamico's book is, the serious AK enthusiast will still want to also have copies of the other two good AK reference books on the market. "The Grim Reaper" cannot match Roodhorst's "Kalashnikov Encyclopedia" sheer volume of odd variants covered, not does it match (or attempt to match) the technical and developmental information in Ezell's "Kalashnikov: The Arms And The Man". Still, I think it is the best rounded of the three and would be my recommendation for the person who only wants one AK book - and at $70, it is pretty economical for over a thousand pages.